Manulife Bank of Canada released their debt survey which revealed that many Canadians are not meeting their debt goals. Creditaid’s Brian Denysuik was on the air at CBC Radio with Caroline Barghout to discuss the survey, provide advice and tips on how to save to spend, budget and the steps to take to relieve stress and become debt free. Listen to the broadcast below. The desire to “keep up with the Jones’s” has become more than a social status issue for many people. Also, it is effortless to get caught up in a holiday season. 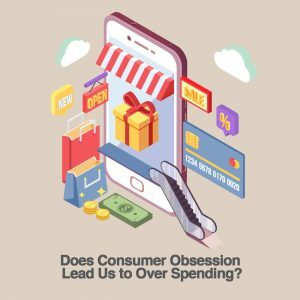 It has become a catalyst for overspending that has consumers running to banks and other lenders looking for ways to finance their purchases. Pay bills on time and balance your cheque book each month. You can’t know how much you can afford to spend if you don’t know how much you currently have to spend. Stop buying on impulse. If you want something, rather than charging it on your credit card and paying interest, save for the next few month and buy it when you have the money. As published in the January/February 2017 issue of Balance, a Manitoba Teachers’ Society publication. You’ve just moved in with your current love or maybe you’ve just got engaged. This is a happy, exciting time in your life. The two of you may have discussed where to go on a honeymoon, whether or not to have children, how many or where your dream house will be. But have you had a conversation with each other with regard to your finances? Everything listed above costs money and both of you need to be honest with each other regarding your finances in order to have those things. As you begin a new, permanent relationship, it is time to set your financial goals as a couple and to be honest about your money values. As published in the December 2016 issue of Balance, a Manitoba Teachers’ Society publication. By 2021, 22.8% of Canadians will be 65 years of age and older. Do we feel prepared as children and grand-children to help guide and protect them and their finances through their later years of life? Through the busyness of our own lives, we need to keep in mind that managing finances will become increasingly difficult for our parents and grandparents as they age. When a person ages they can easily lose sight of how to handle money, and even a financially astute person can quickly move to a state of being unable to cope with their finances. 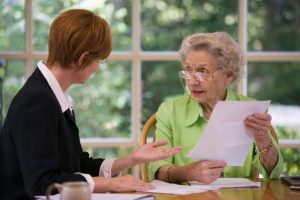 If this isn’t recognized it can be very stressful and costly for the elder. This week’s first snowfall is a good reminder that most of us have to start planning for the holiday season! Our November temperatures had been positively balmy up to this point, but now there’s no denying it, only a few paycheques remain until the holidays are upon us.